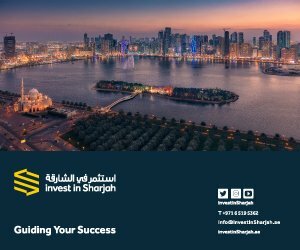 Sharjah Investment and Development Authority (Shurooq), in collaboration with the Sharjah Department of Public Works, has announced the commencement of an AED 16 million (US$ 4.4m) rejuvenation and expansion project at the Flag Island, one of Shurooq’s touristic landmarks and premier destinations in Khalid Lagoon. The project includes the development of a Flag Square and its surrounding areas by adding new facilities and services. The running track made from premium sustainable materials, reflecting the highest international standards in environment friendliness is already complete. 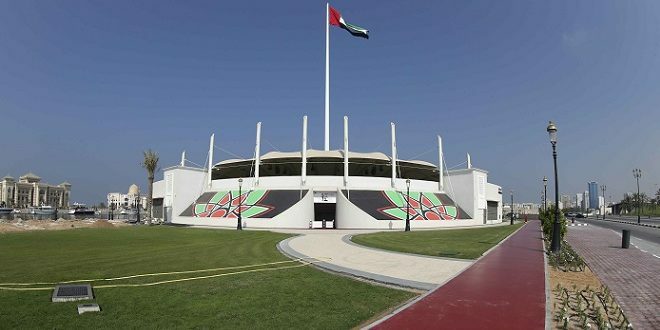 The 600-metre track design is reminiscent of the one at Al Majaz Waterfront, and offers an alternate venue in the emirate for morning walks, cycling, running, jogging and exercising other outdoor activities. The development also includes premium quality natural landscaping on the Flag Island and its surroundings. Part of Shurooq’s expansion strategies include the construction of the Flag Squares across its various destinations in the emirate; new units dedicated to retail and food & beverage experiences for visitors. The Flag Square on Flag Island is now ready, and the same model will be applied to Shurooq’s other destinations that will feature flag squares. The next phase of development will see the establishment of an integrated infrastructure network aimed at offering premium quality services to visitors. 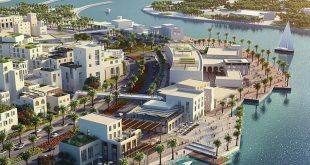 It will also include the construction of a 400-metre wharf and the addition of a pontoon to the marina, which will serve as an ideal base for leisure. Jones the Grocer, the gourmet Australian food emporium concept, will be inaugurated shortly. 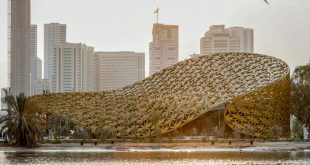 “The development of the Flag Island is part of His Highness Sheikh Dr. Sultan Bin Muhammad Al Qasimi, Ruler of Sharjah’s directives to include the development of tourist and leisure destinations by Shurooq and other government agencies in the emirate with social and economic development in Sharjah, with a strong commitment to highlighting the national and Islamic identity of these projects,” said HE Eng. 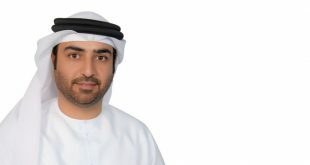 Ali Bin Shaheen Al Suwaidi, Chairman of the Sharjah Department of Public Works. “Our ongoing development of the existing tourist destinations stems from our belief in fully equipping the emirate to be able to support its growing population and future plans. The Flag Island was inaugurated in conjunction with the UAE’s 41st National Day celebrations in 2012, and in that sense, is a leisure and tourist destination with nationalistic significance.Home to one of the highest flagpoles in the world proudly carrying our country’s flag,The Flag Island over the past years has become one of the main venues that hosts national occasions and celebrations. The announcement about new extensions and improvements on the island has been made to honour the soon approaching 45th National Day celebrations,” said HE Marwan Bin Jassim Al Serkal, CEO of Shurooq. “When we designed the Flag Island, we sought to make it a tourist attraction in the emirate throughout the year, and not just during national celebrations. The new expansion plan is a strong step towards fulfilling this purpose; one that will transform the island into a destination that will cater to individuals as well as families, especially athletes and outdoor enthusiasts. Making the island and its surroundings more aesthetically pleasing will provide its visitors with a more comfortable and appealing environment. 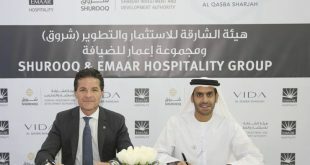 We look forward to enhancing the island in addition to attracting more visitors from across the UAE and beyond,” he added. The Flag Island’s expansion plan comes in line with Shurooq’s efforts to develop Flag Squares across the emirate of Sharjah, in order to increase public turnout to these destinations and ensure fulfilling experiences for visitors. The setting up of such development and expansion projects forms part of Shurooq’s non-stop efforts in cooperation with the Department of Public Works to develop several projects and modern tourist facilities to keep pace with the development process in the emirate.